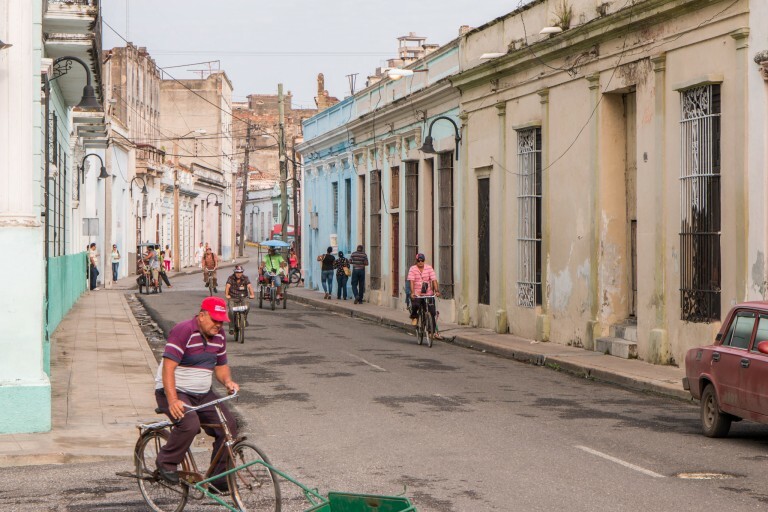 Are you looking to stay local and experience the authentic Cuba? Then casas particulares are definitely worth checking out. 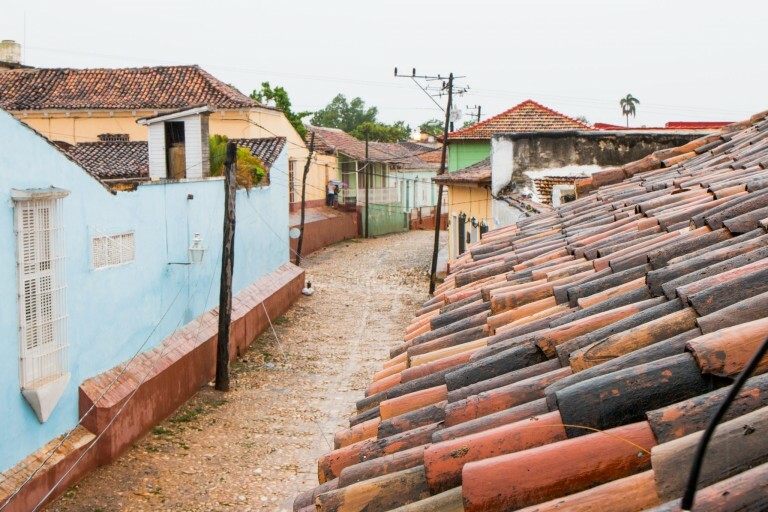 Throughout our trip, casas particulares were our lodging of choice and something we highly recommend for those looking to travel independently in Cuba. Let us tell you all about casas particulares, what they are, how to find and book one, costs, recommendations and other tips! Casa particular translates directly from Spanish to “private house”. Think of a casa particular as a homestay, quite similar to a B&B (Bed and Breakfast). They are privately managed, most of the times, by the families living there. With the changes in recent years, a lot of casas particulares are now owned by the families and not by the government. It is common to refer a casa particular simply as casa. This is the way they are known amongst Cubans. Casas particulares started back in 1997 when the Cuban government officially began allowing families to rent out rooms or houses to tourists. It was a way to provide a new source of income to the Cubans, a lot of whom rely solely on it. The Cuban government gets an annual tax back from this. Just like any other lodging options, there are different types of casas particulares. They range from private room accommodation to entire houses or even villas. Most are small houses with only a few rooms available, usually ensuite. Some casas particulares are more than a simple B&B and offer full meals besides breakfast. It’s easy to identify one by the “roof” sign. By talking to some of the owners of the casas particulares we stayed at, we learned how they got involved in tourism. Most rely on family members who live abroad and helped them get the business up and running. We’re talking about Cubans that left their country and are now helping their family by buying a house and getting them to manage it. In most cases, brothers or sisters. Staying at a casa particular is an experience you won’t regret! Why? Well, for starters you’re going to stay with (or at least meet) a Cuban family. There’s no better way to get to know their history, culture and how they feel about a country most people know little about. You’ll feel how proud they are about their country, the revolution and even the US situation. Everyone was extremely friendly, hospitable and eager to share a lot with us. And they were also curious about why a couple from Europe decides to cross the ocean and travel, in some cases, to remote areas of a Caribbean island. It is fundamental to speak at least some conversational Spanish (and get used to the Cuban accent!) to take the most out of the experience. English is not widely spoken. There are other things worth mentioning. One reason people seek casas particulares is because of the price of accommodation, which is much cheaper than hotels. Also, a lot of them offer meals as an extra, including breakfast, lunch and dinner. We had delicious breakfasts with a lot of the local fruits and very good home cooked dinners. Nowadays there are countless casas particulares. It feels like there’s one around every corner, but not all are up to the same standards. Finding one still is the hardest part. A few websites already rent out casas particulares online, including AirBnB for the USA only but not other major booking ones. We found these to include a premium on top of the already inflated prices. Plus, some look dodgy, to say the least. We saw some reports of people booking online and finding out on arrival that the booking hadn’t been processed. The only positive thing is that it is the easiest and quickest way to book a casa. We opted to do it the manual way. TripAdvisor has reviews on casas particulares and their contacts, including email address, phone number and even website for some (simple stuff!). A lot of houses have exceptional reviews and these sell out quickly. What we did was send an email to the casas particulares we wanted to stay at. 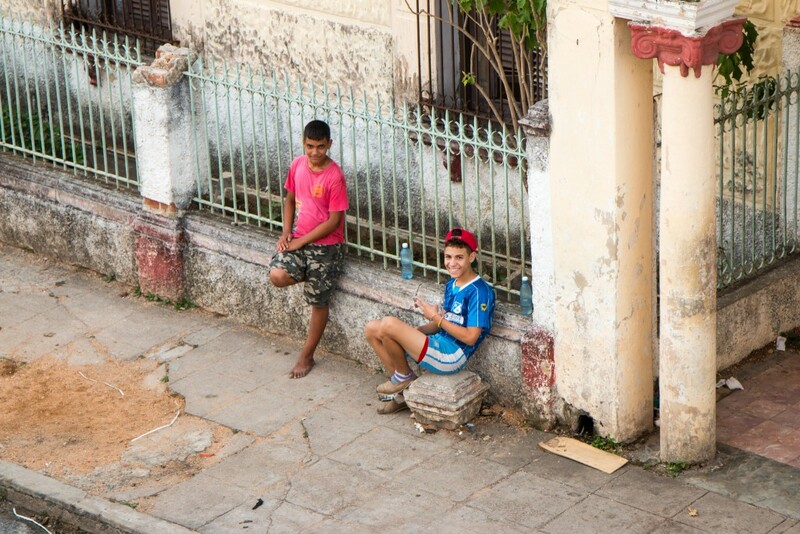 Cubans don’t really have great internet access so it takes them a few days to reply back. A bit of patience is necessary. The advantage? You get the best price and speak directly with the families. For example, for some of them, the price was 10 CUC more expensive (25 to 35) on AirBnB (excluding the service charge). Basic Spanish may be necessary for this! The last and final way to do it is “word of mouth”. Whether you’re still booking away from Cuba or already enjoying your trip, this is a very common way for things to happen. Casa owners will ask you where you’re headed next and recommend you one! They know people everywhere and we had some asking us about it via email and once already in Cuba. Prices for casas particulares vary according to the type of accommodation, location and even season. Since the most common one is a private ensuite room, let’s see how much those cost. The prices are usually not negotiable unless you stay for longer periods. It’s important to know that you should phone ahead 1 or 2 days before arriving at your next casa particular, even if you’ve made a booking! This is to ensure you’re actually coming since you paid no money up front. Not mandatory, but better do it to be on the safe side. We found all the places we stayed at to be safe. Leaving our things in the room was just fine. Also, it’s likely that someone will be in the house all the time. It really feels like home. You’ll be asked for your passport so it can be registered for governmental purposes. Looking to travel independently? 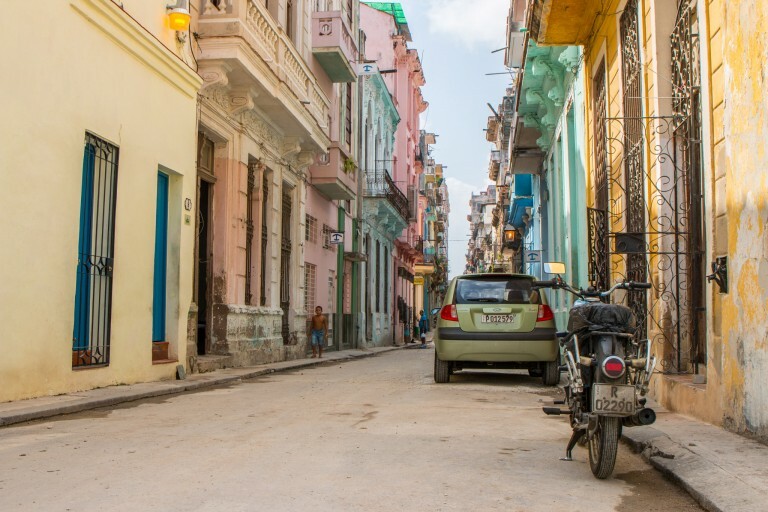 Read our guide with all about driving in Cuba. We stayed in quite a few casas particulares. Here are 4 that we recommend. Right in the heart of La Habana Vieja, this casa particular offers a great location for those looking to explore all the major attractions in Havana. It’s a small house with only 2 rooms available, both nice and clean. Very helpful and friendly hosts. Special thanks to Kiki for showing us around, including places that few people get to see. Some of the friendliest hosts we met in Cuba. Recently renovated house with an outdoor space for meals. If you’re looking to explore the western tip of Cuba around Pinar del Río, Villa Manuela is a great choice. Right on the beach front! 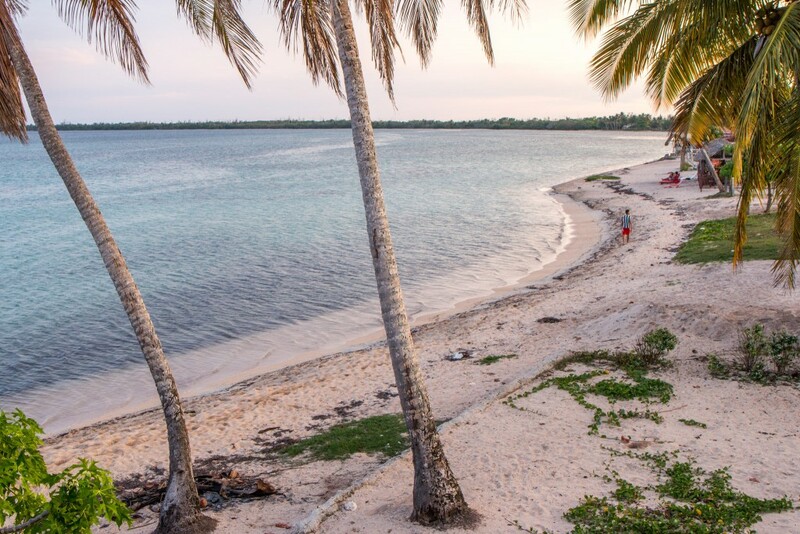 If you’re looking for a beach break in Cuba, this is it. Excellent location to explore the amazing nature and wildlife of Península de Zapata. Probably the best house that we stayed at. The quality resembles a luxury hotel. It’s only a 5-10 minutes walk to the main square in Trinidad. The owners are super friendly and will give you tips for your stay in the region. Excellent breakfast! Are you going to Cuba? Would you stay at a casa particular? Share your thoughts! We stayed in casa particulares when we visited Cuba 2 years ago and we would recommend Casa Vieja 1840 in Havana Vieja (http://www.casavieja1840.com/) and Beny’s House in Varadero (http://www.tripadvisor.com/Hotel_Review-g147275-d2078012-Reviews-Beny_s_House-Varadero_Matanzas_Province_Cuba.html). We communicated with them by e-mail before going and everything went smoothly! Staying in a casa particulare was especially great in Varadero because it is normally such a tourist town but our casa was a 5 minute walk from the beach, the same beach that you pay a fortune to stay on when you stay at an all-inclusive! Thank you for sharing your experience. Those two places look really good! We didn’t go to Varadero precisely because of what you mentioned. Instead, we went to Cayo Coco (no casas particulares there) and other beach places as well. We wish we could have a stayed a bit longer but since we don’t travel full-time we only stayed a couple of weeks. 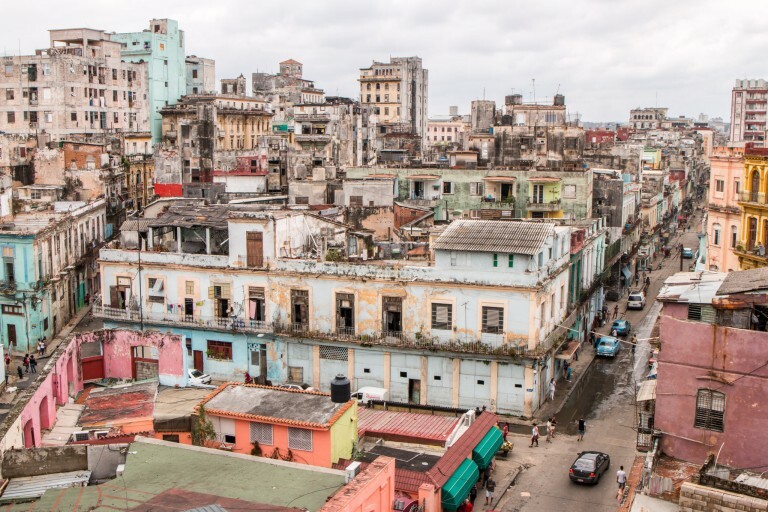 Cuba seems small, but there’s lots to see and do. Casas particulares are definitely a great way to do that! 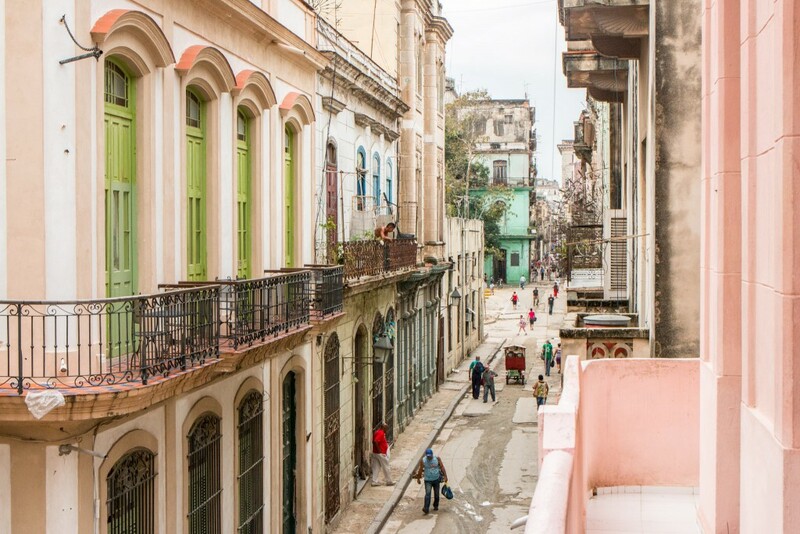 Love your photos of Old Havana town – it captures what I remember perfectly – those run down houses. Every single road just had it’s own little thing going on. 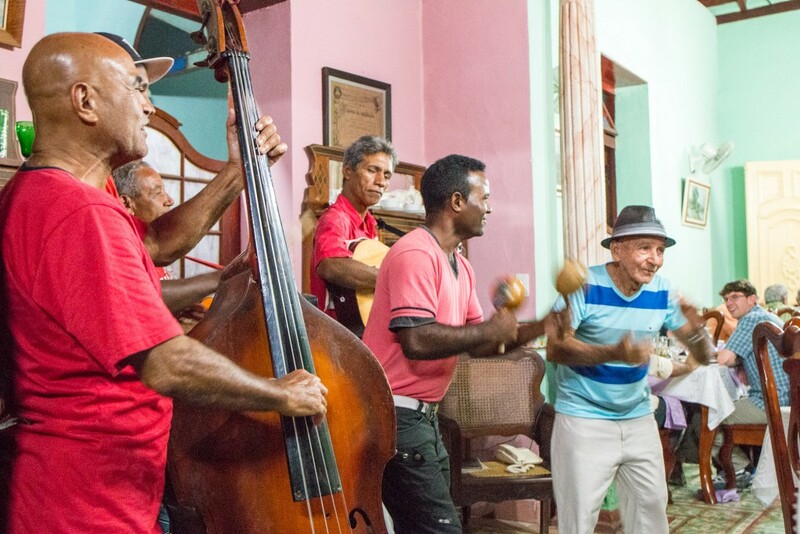 Definitely agree Casa Particulares are the best form of accommodation in Cuba – as well as being easy on the wallet, it’s such a great way to meet and interact with locals, which made the experience for me in Havana. 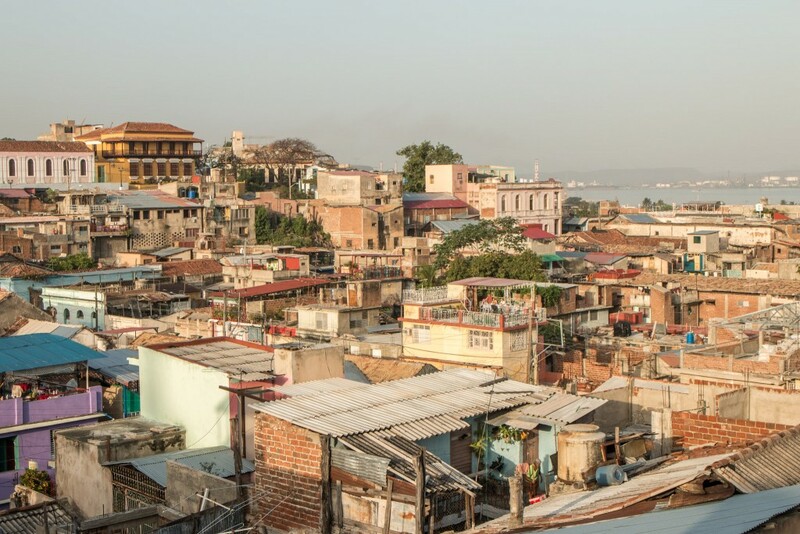 The old town is a great place to watch the day go by and how the Cubans live their lives. Also, pretty nice for photography. If only for a chance to live as a part of a Cuban family, even for a short while, I’d really consider staying in a casas particulares when I get to Cuba someday. The most important thing is to book your casa particular for the first night in Cuba. 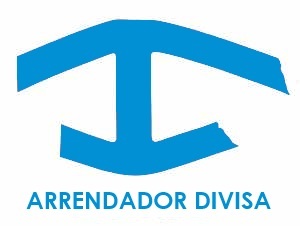 You can find them online just google casas particulares. 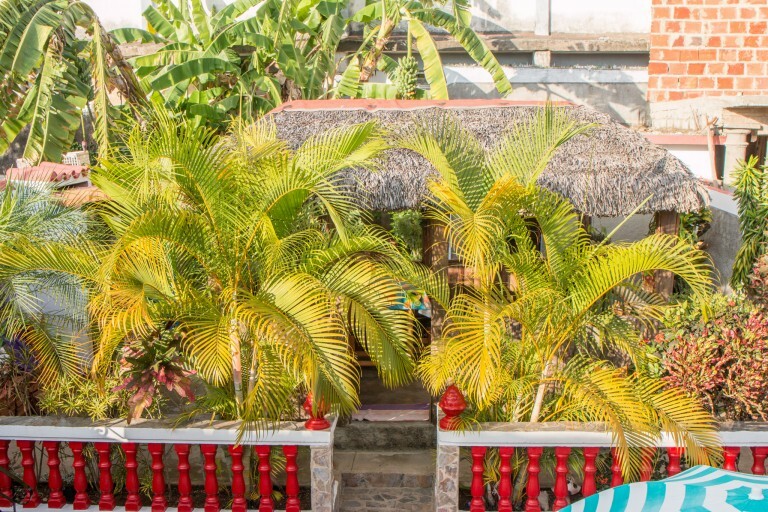 You don’t have to book all your nights in advance, the owners usually have contacts in other towns, so if you tell them your next destination, they will set you up with another casa. In Santiago and Baracoa there are casas particulares that are way cheaper than in Havana or Vinales. You can find a room for 15 CUC (read: USD) and food is as well cheaper. Staying in casas particulares is an awesome experience. I would recommend it to everybody. Just the mattresses can be sometimes a bit used. The most important thing is to book a casa particular for the first night in Cuba (especially in high season – November – March). In Havana expect to pay 30 – 40 CUC/room. You don’t have to book all your nights in advance, the owners usually have contacts in other towns, so if you tell them your next destination, they will set you up with another casa. 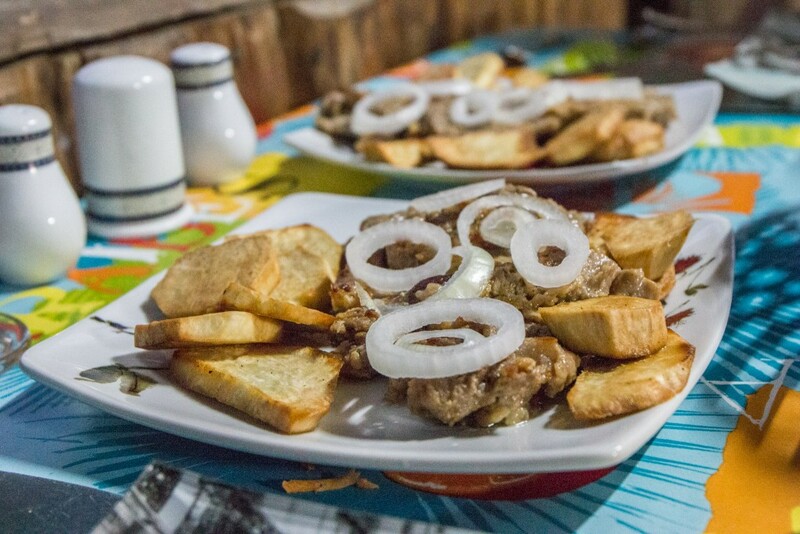 In Baracoa and Santiago there are way cheaper casas than in Havana or Vinales, you can find room there for 15 CUC (read:USD) and food is as well cheaper. Cheers for your input, Ludek. It aligns with what we say in the article. Guess we were lucky with the mattresses! Obviously, if it’s a cheap place, the quality tends to be in line with the price. And yes, Havana is definitely more expensive but at the same time there are plenty of casas there, which is not the case in rural areas. Booking vs non-booking in advance is a travel style. Some people like to do it, others don’t. We also say in the article that casa owners can refer other casas in different places. This is nice but you clearly don’t know what to expect about the house they send you to. Again, in line with what we said about travel styles and preferences. We travelled in May (mid-low season) and to guarantee the casas we wanted, booking in advance was essential. To be honest, Santiago was probably our least favourite city. The historical centre is nice, but not as nice as other colonial towns. Also, it was very chaotic! The part we liked the most was the fortress – recommended. A lot of people opt to choose casas particulares because of the price. Yes, that’s a an important thing, but staying with someone local with a different perspective of things was really nice. We learned a lot! Very interesting read about the casas. I talked with some folks at the NY Times Travel Show who were itching to get to Cuba and they were discussing this. I had no idea since I’m not considering traveling there. Very informative. I guess a lot of people are now discussing going to Cuba. Glad casas particulares are being mentioned as well! This is a fascinating post! Thanks so much for sharing… As an American we still don’t get a lot of news & information about Cuba, even though the restrictions have been slightly lifted (It was big news when AirBnB expanded there though!). I love staying in small and locally owned places when traveling, so I hope someday I get to experience a casa particulare someday. Thank you so much, Brianne! We’re sure that In the coming months a lot more stuff is going to happen regarding the US-CUBA situation. Unfortunately, seems that AirBnB (or someone else) is taking advantage of this and adding a premium on top of the regular price. Which is a shame. If you like staying local, then casas particulares are definitely for you! Oh, this is definitely where I would want to stay if I visited Cuba. I’m sure it’s super interesting to hear the stories from the Cubans and eat their delicious food! A totally different experience than if you would stay at a hote..! Miles away when comparing with a hotel! So much nicer and interesting. The good thing about these places is that they have quality and we would definitely use casas particulares again. Cuba is on our list, and I would absolutely love to do this. Unfortunately, neither Greg nor I speak Spanish. We’ve also never done a home stay, although we’ve considered it a few times. Thanks for the insights! I believe in some places they will speak some English but not enough. With Spanish you definitely get a lot more from the experience. These were some of the finest home stays we’ve ever been to. This post is perfect timing – I’m planning to finally make my dream of visiting Cuba a reality this year!! I will be referencing this when I go to book my lodging. Pinning now! Thanks! we are going to Cuba in a few weeks time. We understand that some casa particulars will collect you from Havana airport. Can anyone throw any light on this? That’s correct but you need to arrange that with the casa you’re staying at. They will get a taxi to collect you from the airport and that should cost you 25 CUC. It’s very convenient to have that option. About casas particulares in 2018, in high season. You only need to book your first casa, do not worry about the next , your hosts take care of that and you will come to casas of the same standard in the next city. We have been to Cuba three times, 4 weeks each time, and never had any problems with the standard. If they are overbooked, which we have experienced only twice, they send you to the neighbour. Don’t worry about that either, it is an experience I would not miss. The casas are not only a place to sleep, it is a small travel agency that arrange everything for you, If you so wish, excursions, drivers, bus, and do everything they can to make you feel comfortable. 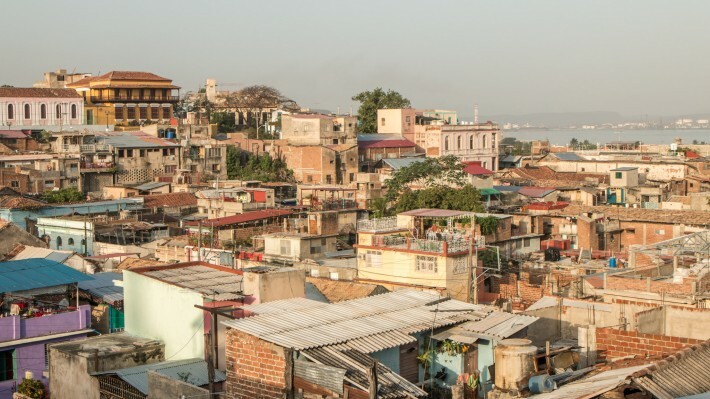 Regarding Santiago de Cuba, do not miss it! It is our absolute favourite, far better than Havana and Trinidad, more relaxed and more interesting. Music and dance everywhere. Never a dull moment. Thank you for sharing your experience. We have also been to Cuba a few times now (last visit just a few months ago)! Not booking is definitely an option but, in our opinion, while there are casas particulares for every taste, the best ones, namely location-wise, are rarely available short notice. To avoid any disappointments, we still recommend booking ahead. In the end, this comes down to what style of travel one prefers. Surprisingly, the standard is still pretty good bearing in the mind the increase in numbers of casas particulares. You’re right. The hosts are very helpful in finding activities and transportation. Eastern Cuba is a great place to visit. Not just Santiago, also Sierra Maestra, Baracoa, etc. Sierra Maestra is fabulous and there are several other interesting historic sites in Granma and Santiago provinces.